I love to look at the scrapbooking supplies I already have and use them in a slightly different way. I actually like to do that with many things besides scrapbook supplies too actually. 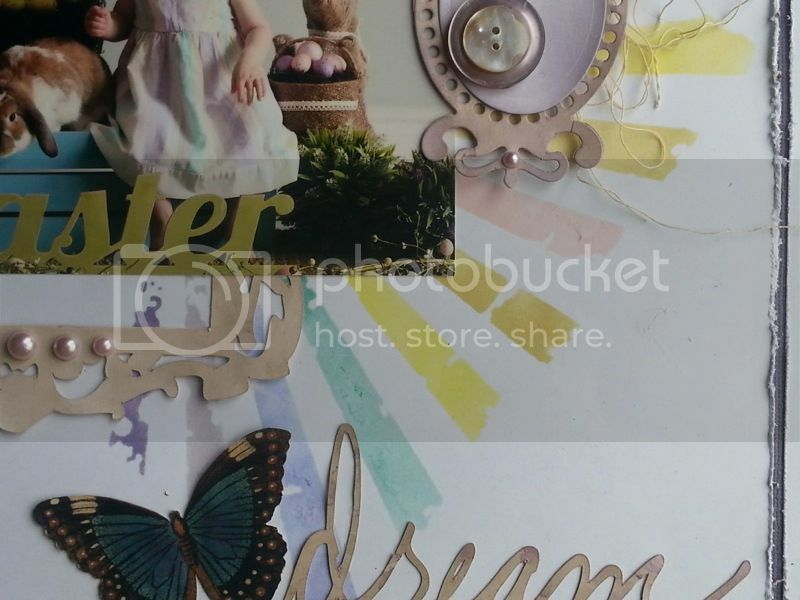 I had my Tim Holtz stencils out and I was thinking about the sun burst one and if I could turn it into a rainbow to co ordinate with my Granddaughter’s dress in her Easter photo…. sure enough, it can be done! I used painters tape across the part of the stencil that I didn’t want to use to block the areas. (you can use regular tape just make sure to stick it to your clothes a few times first to decrease the stickiness, that way it won’t ruin your layout when you take it off) I used distress ink in the colours of the rainbow. 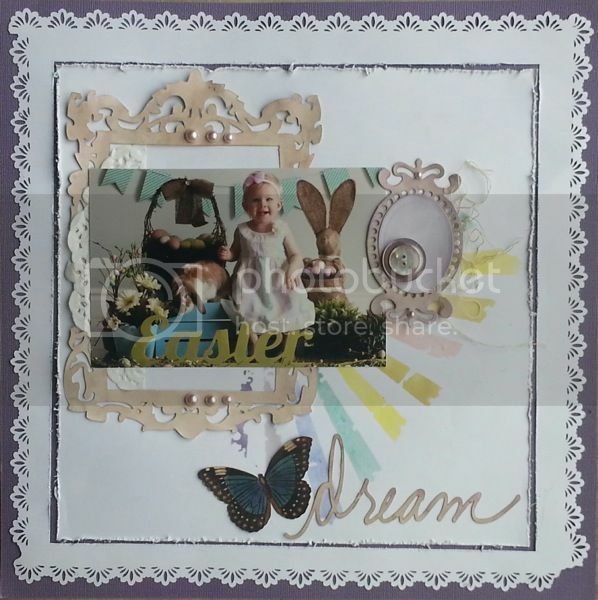 When I was happy with the rainbow, I added lots of die cuts and used them as a frame and accents for the photo as opposed to a card base as the large frame is intended to be used as. (I believe all of the dies are from Spellbinders that I used and the title was cut with the Silhouette) The thread I used was from my Mom’s sewing kit from many years ago and the buttons are antique as well. I like the final layout very much. I can’t believe how different that stencil looks just by colouring each ray a different colour. Beautiful layout Jennifer !! The colours of the rainbow are a perfect match for her dress ! This is so adorable Jennifer…as is your grand daughter!! I love how you used the stencil to coordinate with her dress!! It’s perfect! Previose Post: Are you registered?? Will you be coming? ?